2011 has been one of the most tragic years in hockey that I can remember. From the deaths of NHL enforcers to the KHL plane crash in Russia to a young player from Alberta being hit in the throat with a puck and succumbing to his injury, this year is one that has had an eerie theme to it. There just seems to have been a lot of tragic events that have occurred in 2011. 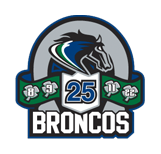 However, in but a couple of days, on December 30th, it will be the 25th anniversary of a bus crash involving the WHL’s Swift Current Broncos. On December 30th, 1986, just outside of Swift Current, Saskatchewan, the Broncos team bus left for a game in Regina. A prairie winter meant icy road conditions and snowdrifts along the Trans-Canada highway. Barely out of town, the driver lost control of the bus and the bus skidded off the road coming to a crashing halt in the snowy ditch to the right of the highway. Reports state that on December 30, 1986 at 3:45 PM, two days after the Christmas break, the Western Hockey League Swift Current Broncos were embarking on a two and a half-hour drive to Regina, Saskatchewan when their team-owned bus, a 1968 Western Flyer, skidded off the highway overpass, hit a sign then slid down an embankment nose first. It flew approximately 50 feet in the air, landing on its side when it skidded to a halt. In the front of the bus saw future NHLers Joe Sakic and Sheldon Kennedy. There were relatively unharmed in the accident. The same could not be said for four Bronco players in the back of the bus. Brent Ruff, Chris Mantyka, Scott Kruger and Trent Kresse were playing cards in the back of the bus. All four perished in the crash. In an eerie twist, Kruger and Kresse played on the same line, had adjacent lockers, were close friends and always hung out together. After the crash, they were found two feet apart from each other. The news made headlines not only in Canada but around the world. As I write this I find myself thinking about the families of these four players. Four players with dreams of making it to the NHL to live out their dream of playing professional hockey. Not to take away from this story, but what is even more devastating about this story is the fact that disgraced coach Graeme James was the coach of the Broncos team that season. James does not deserve any commentary in this post so we will leave it at that. The Bronco’s decide on when to start their dedicated season. Their first game is against The Moose Jaw Warriors in Moose Jaw. Alot of Bronco fans decide to make the 90 minute trip to show their support. We arrive in Moose Jaw to an almost full house. Alot of Bronco colors in the stands. During the warm up you would hear the odd ” way to go Bronco’s ” from a fan. The teams line -up for the anthem. They have a moment of silence. At the end of the moment of silence, one of the Warrior players starts to tap his stick on the ice. The rest of the Warriors follow suit, tapping their sticks on the boards and ice. The fans start to rise to their feet giving the players a standing ovation. The Bronco players stood on the blue line, some wiping their eyes and others just looking down. The place was going wild. Fans from Moose Jaw giving the Bronco’s one of the loudest cheers i have ever heard. This standing ovation must have been for 2 minutes. Alot of us Bronco fans were tearing up as we watched out beloved team look ah struck. As the game was played the fans from Moose Jaw seemed to be cheering for both teams. What an experiance to see this. As the Bronco’s continued on, each arena i was told gave a standing ovation to these players. A season to remember. We squeezed into the play-offs that year but lost out in the first round. Many of these players still hold that season close to them. The Broncos would pull together and finish out the season. Joe Sakic lead the team with 60 goals and 133 points. Trent Kresse played thirty games for the Broncos that years scoring 28 goals and 28 assists for 56 points an astounding almost two-points-per-game average. Scott Kruger in 36 games also posted 56 points while Brent Ruff had 6 points in 33 games and Chris Mantyka posted 101 penalty minuted in 31 games. Each of these players were strong contributors to the team. Kresse and Kruger were aged 20 and 19 respectively while Ruff was 16 and Mantyka was 19 years young. That year, in 1986, the players who wore the numbers 8, 9, 11 and 22 will never be forgotten. Their jersey numbers were retired by the team afterwards, and the team still wears a commemorative patch in remembrance of the four players. The idea and design of the four leaf clover was made by the then trainer as a memorial for every future Bronco as a reminder of the four who gave their lives. Should any of the families of these players read this post, we offer our prayers still 25 years later. For any hockey fan, this story was one of sadness and one that simply cannot be forgotten. In fact, an upcoming book about the accident entitled “Sudden Death: The Incredible Saga of the 1986 Swift Current Broncos” was written on contributions from Bob Wilkie (a former player from the 1986-87 Broncos team), Gregg Drinnan and Leesa Culp. ESPN has some tremendous coverage of the crash and how it impacted the players, the League and the people of Swift Current. A plaque hangs in the Civic Center lobby with a picture of the four players and their retired jerseys as a reminder.